We are dealing with the export of various foodstuffs to Europe, Middle-East & South-East Asia, etc. Especially, our chocolate products and coated peanut products are very popular. Currently, the export of our Vermicelli, rice crackers and coated beans products increases rapidly. Win - Win bussiness With all our efforts, we hope to serve every customer our best products with their most satisfactions. Packing & Delivery Custom packaging We try to accept the packaging as customer expectation because We aim to bring the customer the most comfortable and satisfaction. Package Every packaging is control strictly because we aim to serve the customer not only good quality product but also good looking and safe packaging. DELIVERY TIME: 20-30 days after received deposit About us Linyi Fuchun Food Co., Ltd. It is certificated by many distributors and consumers. 16 years experience and quality assurance will give you perfect products. &rdquo; On the basis of this principle, we pursue mutual development in cooperation with the domestic and overseas friends. Today Baoquan company has already developed into one of the biggest enterprises of Jiaodong Peninsular. Our high-quality peanut products have won us a high prestige from customers all over the world. 1., Roasted & Salted Peanut by Can: 150g /Tin: packed in 150g X 48 tins / carton. 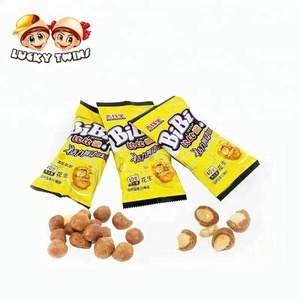 Our main products are roasted & salted peanuts, cashews, almonds, chestnuts, melon seeds, horse beans and walnuts , which are packed in easy open cans and color polybags. Our products are selling well in the European, Russian, Canada ,Southeast Asian, etc. 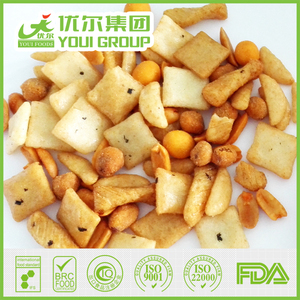 Xiamen Yamata Foods Co., Ltd.
Fried flavor coated peanuts for Bahrain market coated roasted peanut 1.Physical property: Healthy,Crisp with peanuts natrual aroma 2.Certificate: BRC,KOSHER,HACCP.ISO. FDA; 3.P acking style: Plastic bag. 4.Size of carton: (in bulk)38cm*28cm*28cm 10kg coated peanuts is packed into a kraft carton; Packaging & Shipping In addition, we can also supply other health top quality agricultural products,such as sunflower seeds and kernel,pumpkin seeds and kernel,preserved fruits etc Welcome your kind inquiry any time, sure we will reply you with prompt response,many thanks. SCS FOOD MANUFACTURING SDN. BHD. We imported modern production lines from USA and Europe,supervised by professional Japanese management. From selecting materials,production to sales ,we are working base on intertional quality specification of food service industry. Now our products have been sold well to more than 50 countries and regions,such as Europe , America,Asia and Middle East. Zhengzhou Camels Commercial And Trading Co., Ltd.
Qingdao Shanming Foods Co., Ltd. Especially, our chocolate products and coated peanut products are very popular. 4. Our factory has the most advanced equipment and can make sure the safety and security. We provide qualified products and excellent service for both new and old clients. 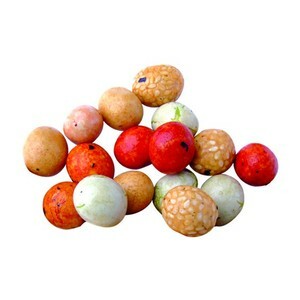 Roasted Rainbow Sesame Sugar Coated Peanuts Product Name Roasted Rainbow Sesame Sugar Coated Peanuts Ingredientsdients Peanuts,wheat flour,corn starch,sugar,salt, sesame,palm oil,etc Main Process Raw material inspection,selection,coating,roasting,seasoning,metal detactor,inner packing,outer carton,warehouse. Selling Points NON-GMO,Rich in nutrition,Low fat,Healthy Flavour Sweet Texture Crispy Certificate HACCP,ISO22000,BRC,KOSHER Shelf Life 12 months Innner Package 10kg*1bag/CTN, Aluminium foil pack bag or as per clients' request Outer Package Double Wall Carton Carton Size( (cm) 38*28*26 Gross Weight 10.6KG/ctn Quantity: 20'/40'/40HQ 960/1920/2260ctns Payment T/T,L/C,DP MOQ 2 tons Samples Available Delivery Time within 25 working days upon receiving advance payment. OEM Available Packaging & Shipping Triangle Bag Pillow Bag Stand up pouch with Zipper Tin Bulk packaging Company Certificate We are a Chinese Japanese joint-venture, we have three factories in China and passed UL independent social responsible audit and FDA , we specialized in snacks like coated peanuts, green peas, edamames &hellip; etc for many years with clients from EU, USA, Canada, Russia, South Afirca, the Middle East and so on. 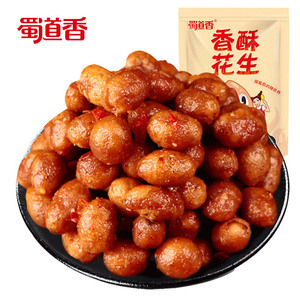 Alibaba.com offers 522 fried and coated peanuts products. About 41% of these are nut & kernel snacks, 21% are peanuts. 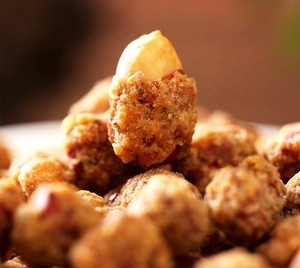 A wide variety of fried and coated peanuts options are available to you, such as nut snacks, peanut. You can also choose from baked, fried, and flavor. As well as from iso, brc, and haccp. 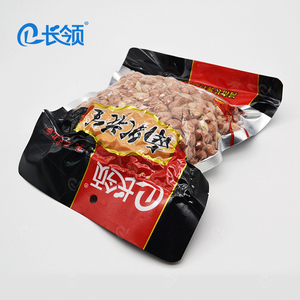 And whether fried and coated peanuts is bag, bulk, or cup. 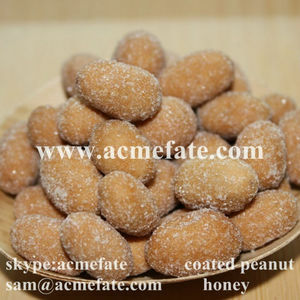 There are 420 fried and coated peanuts suppliers, mainly located in Asia. 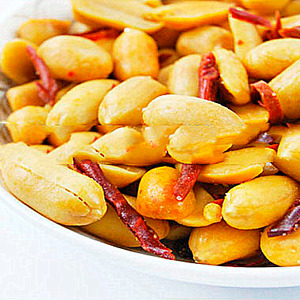 The top supplying countries are China (Mainland), Canada, and Malaysia, which supply 80%, 6%, and 4% of fried and coated peanuts respectively. 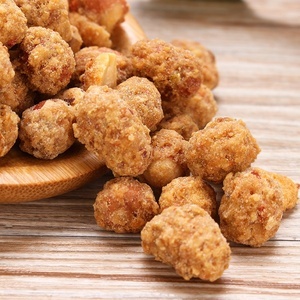 Fried and coated peanuts products are most popular in South Asia, North America, and Domestic Market. You can ensure product safety by selecting from certified suppliers, including 184 with HACCP, 104 with BRC, and 53 with ISO9001 certification.